It is always important to show your significant other how much you care for them. It is easy to forget to tell them, and it can be nice to be shown the additional affection every once in a while. So you may want to setup a romantic room for when your other half comes home from work or a business trip. This does not take a great deal of work and it can be rather fun to organize a room to fit the romantic setting. Find a room (if at all possible) that has a wood floor. You should avoid carpet if you can. 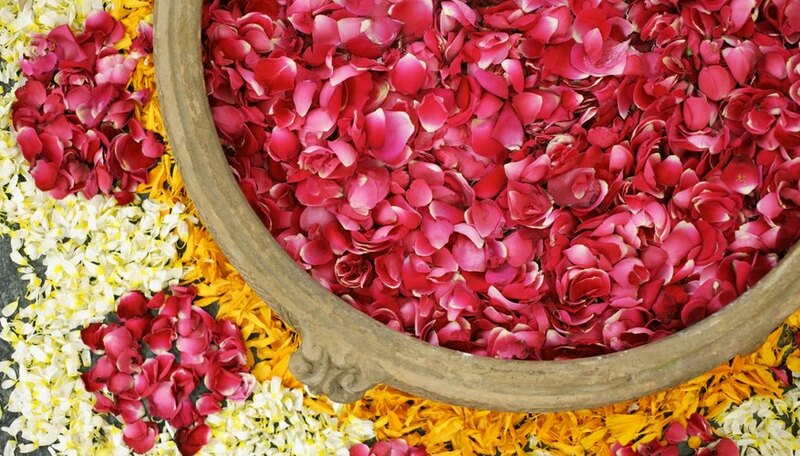 Although sprinkling rose petals over a carpet may sound like a good idea at the time, it won't be as fun when you are attempting to clean off the flower stains. Set up candles around the windows, the tables and other areas. You want to be able to light the room with candles without using lights. Candle light can be extremely romantic. However, make sure the candles are either unscented or are all the same scent (that your significant other likes). Conflicting odors can create more of a headache than a romantic feeling. Sprinkle rose petals across the floor, starting with where the individual is going to enter to where you want them to end up. Use this as a trail to lead them somewhere. There is no need to completely cover the floor with rose petals. Just use enough for them to get the idea. You can usually purchase packets of rose petals from gardening facilities. This is cheaper than buying several dozen roses from the store. Light the candles and turn off all of the other lights in the room. You should use a lighter to light the candles. Otherwise you might have a match smell after lighting all of the lights in your room. Ferguson, Greyson. "How to Setup a Romantic Room With Rose Petals." Dating Tips - Match.com, https://datingtips.match.com/setup-romantic-room-rose-petals-5766674.html. Accessed 21 April 2019.